09 Mar, 2015 Rakesh Sharma Reviews . 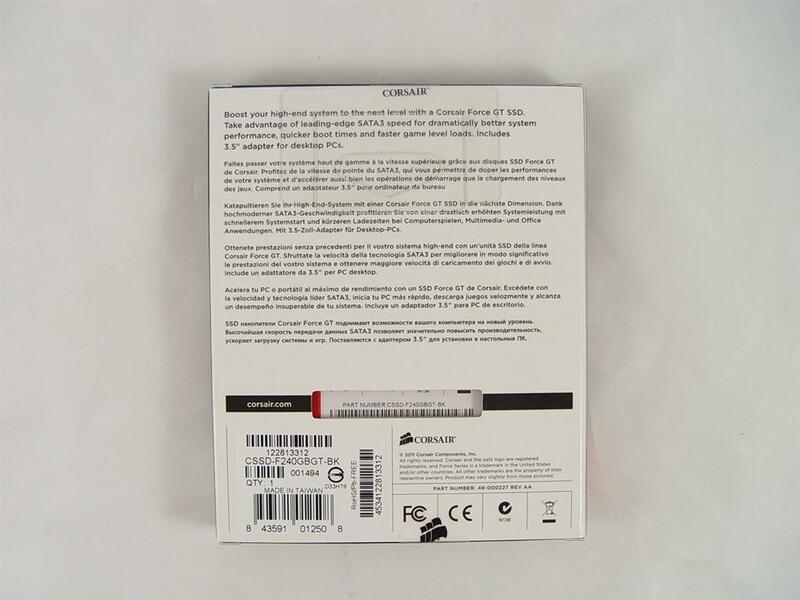 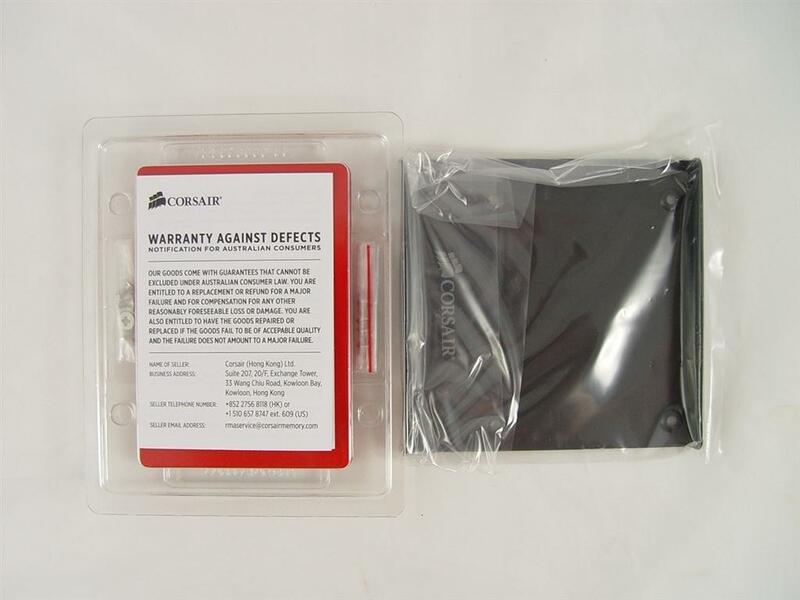 Corsair Force series of SSD have been consistently popular with enthusiasts since their initial arrival. 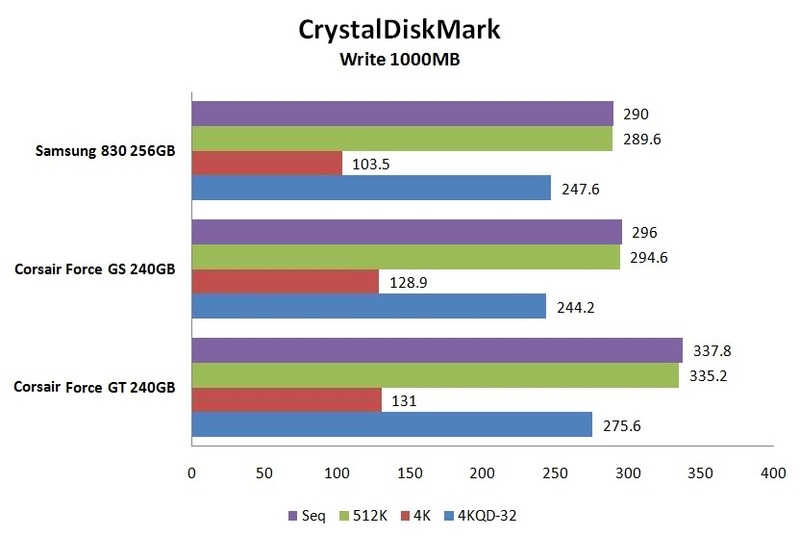 Corsair has introduced many Force Series SSD variants, but generally speaking, each one has offered great performance and considered among the best overall values in the consumer SSD segment. 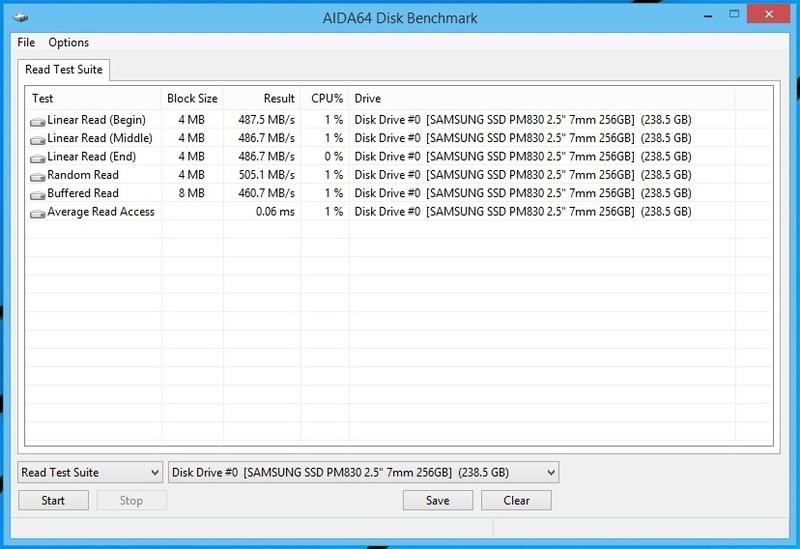 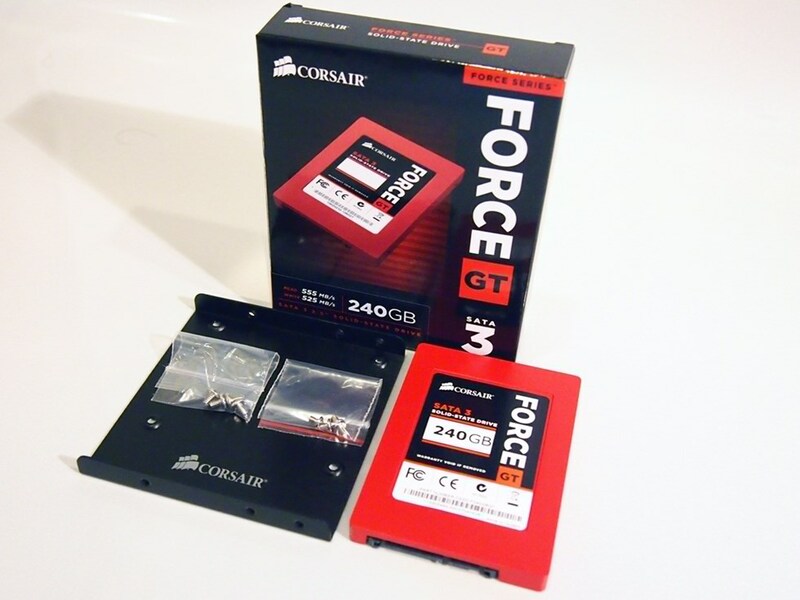 In the review we are testing Corsair Force GT 240GB SSD. 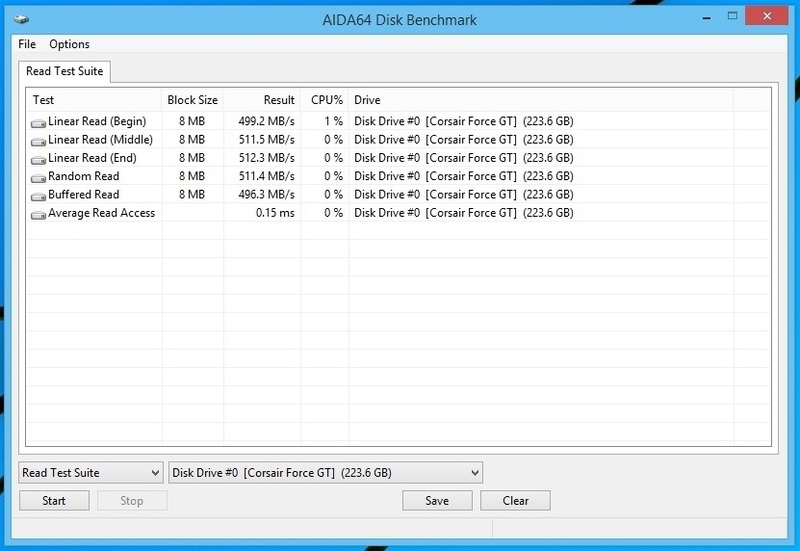 Corsair posts serious performance numbers for the Force GT series: 85,000 IOPS and up to 555MB/s read and 525MB/s write. 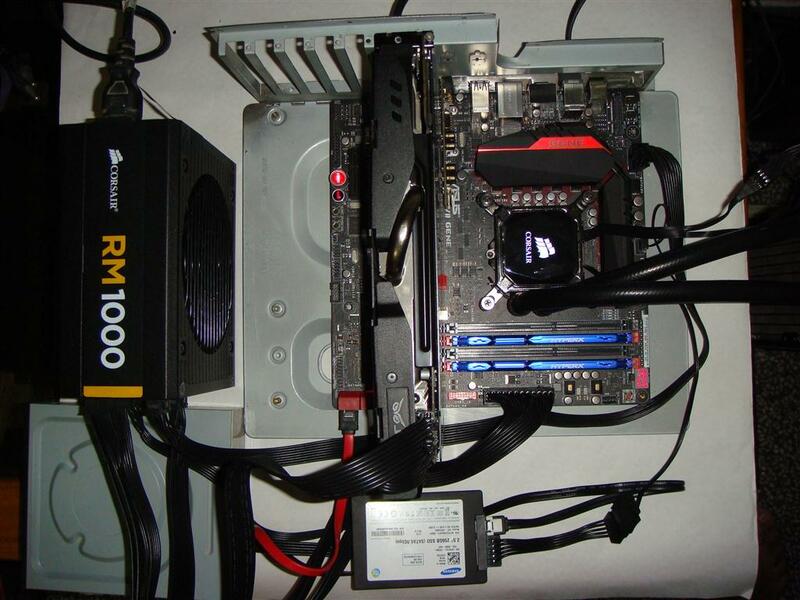 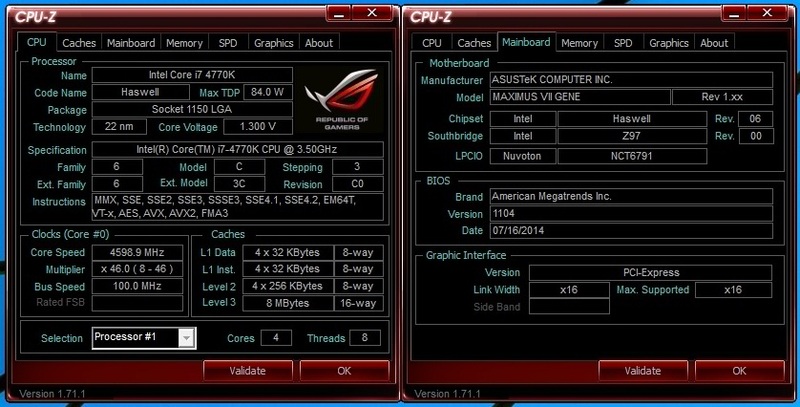 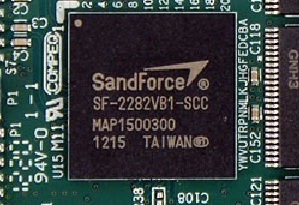 Featuring a SandForce controller and uses the latest 25nm synchronous NAND flash memory. 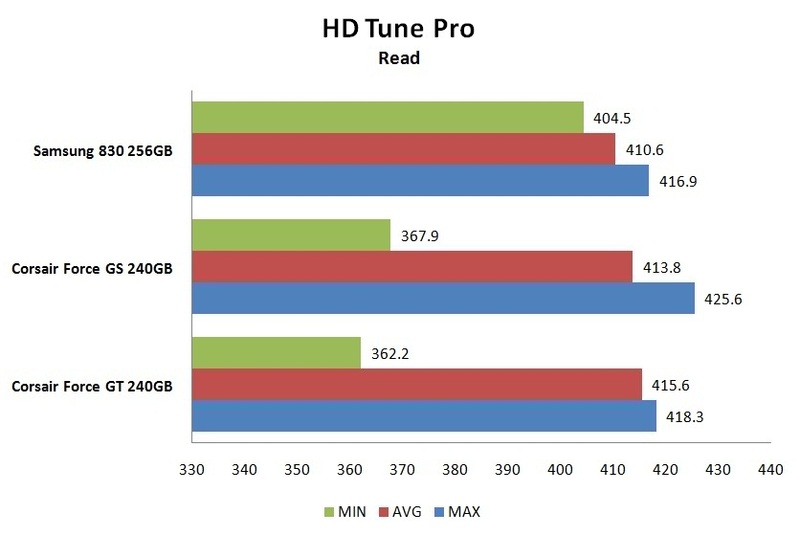 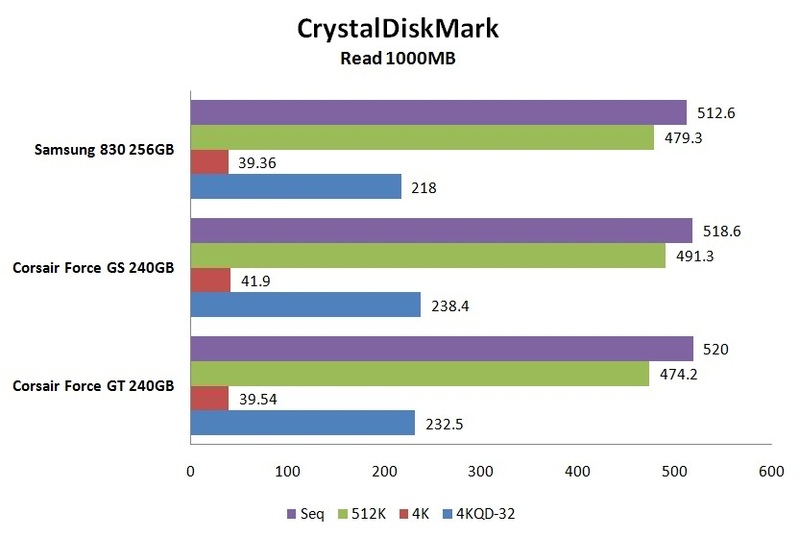 All the impressive performance numbers translate to this: disk operations up to four times faster than the fastest mechanical hard drives. 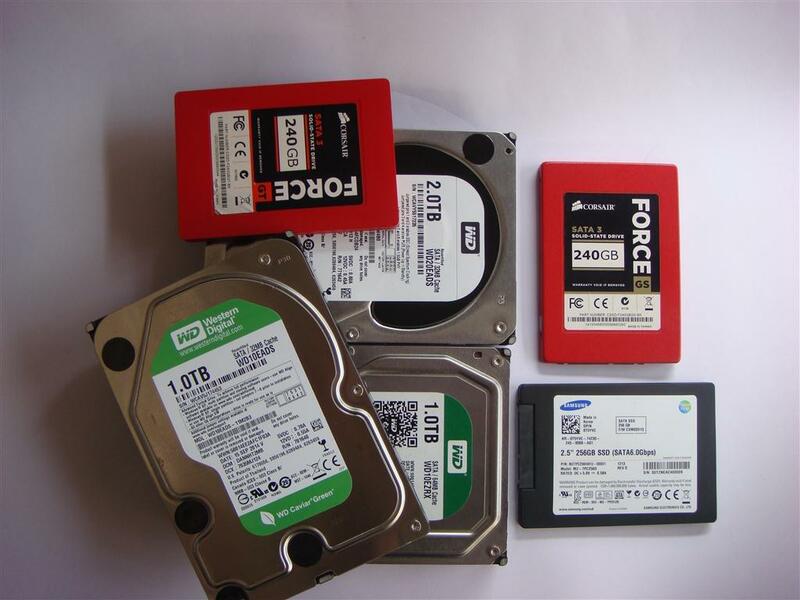 Starting up your PC, launching applications, loading and saving large files and documents, and just about everything else you do with your PC is faster when you remove the bottleneck of old-fashioned hard drives. 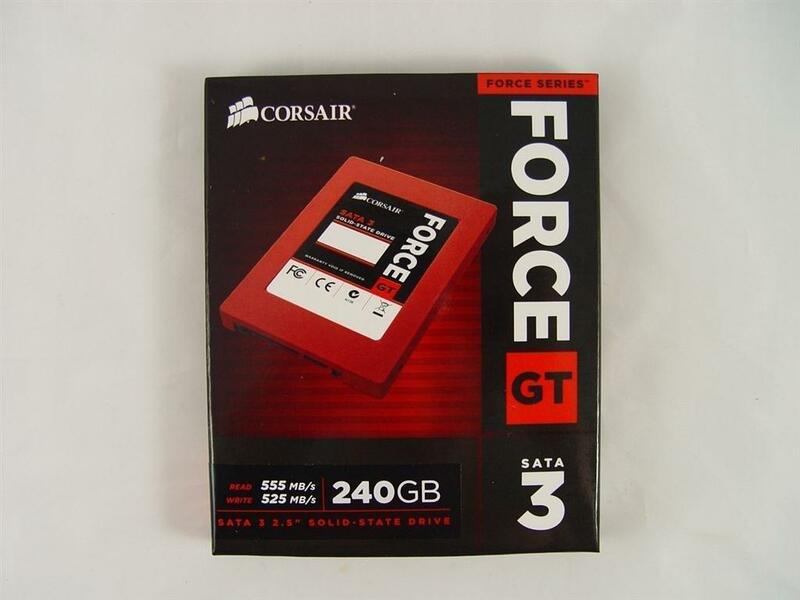 The Force Series GT is particularly adept at moving compressed data. 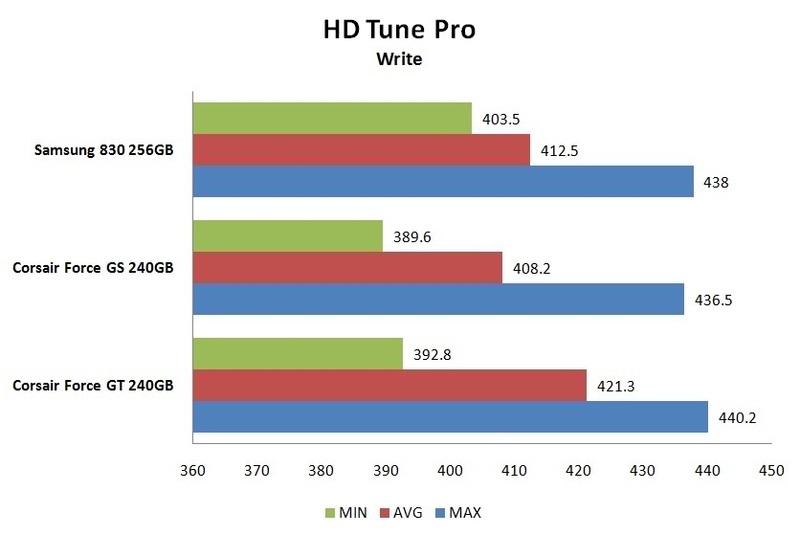 You'll appreciate this real-world benefit if you work with music, movie and graphics files. 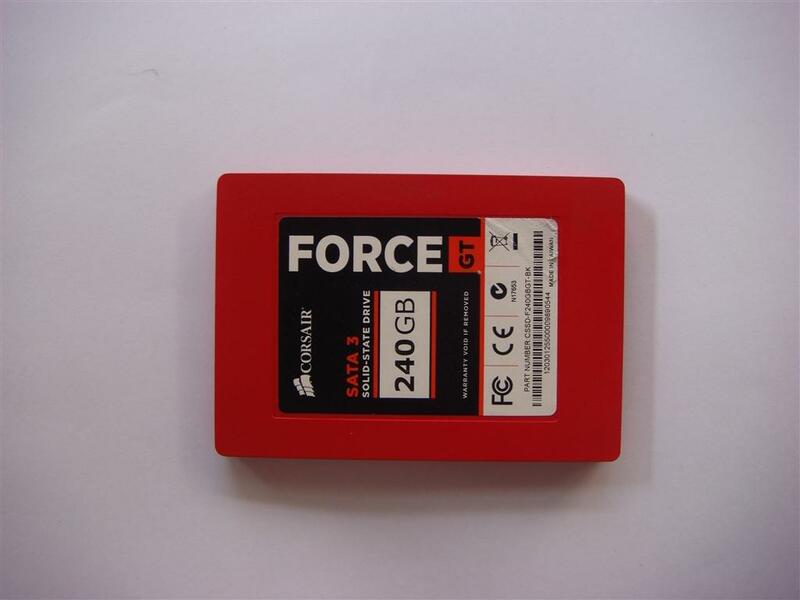 The bright red colour scheme Force GT SSD with product sticker on the top. 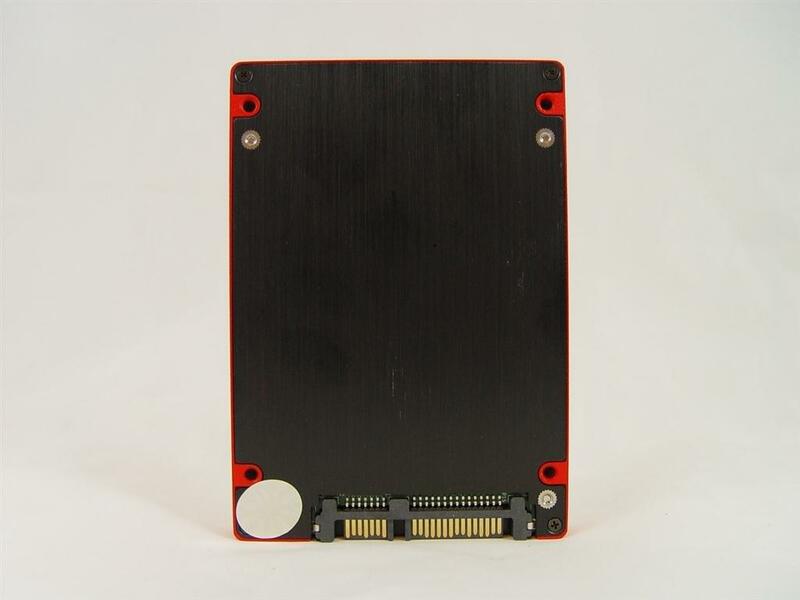 The bottom of the SSD is brushed metal, and has simple Phillips head screws. 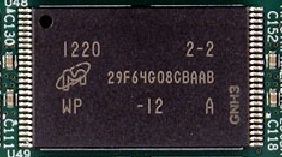 Once dissembled we see that the main PCB is securely screwed to the base plate. 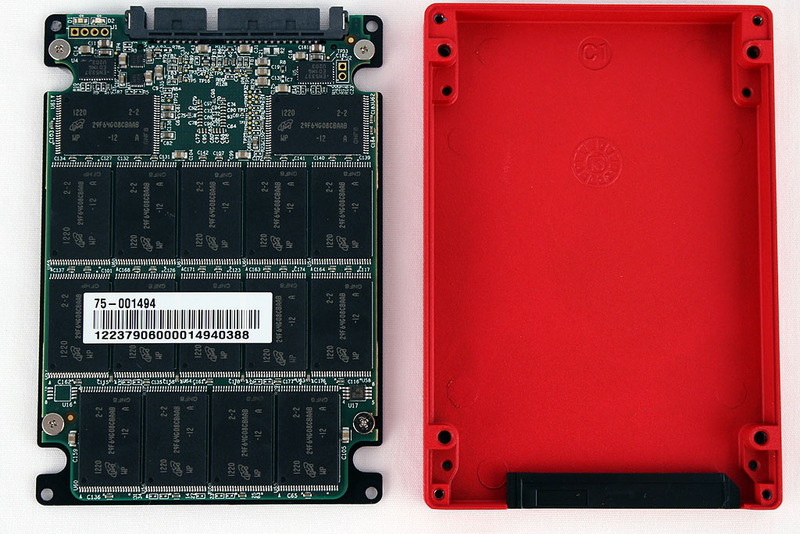 Removing PCB off the base plate we see close together arrangements of the NAND packages. 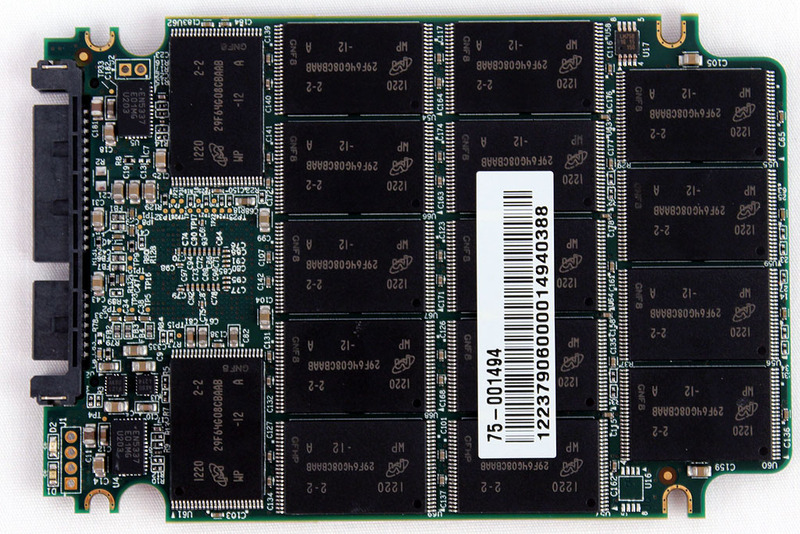 The LSI SandForce SF-2282 processor is the heart of this SSD, and allows it to communicate with the 32 NAND packages that are populated on both sides of the PCB via 8 channel 4 way interleaving. 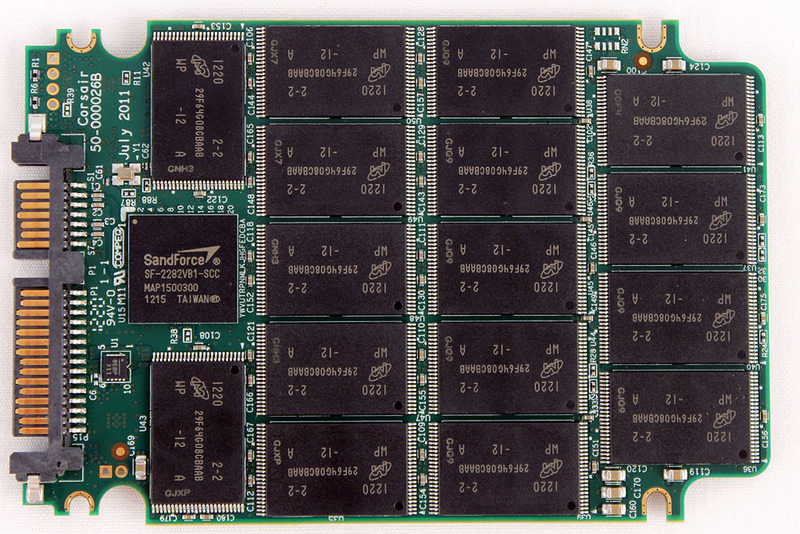 NAND modules labeled with part number 29F64G08CBAAB, which are 25nm Micron synchronous chips and 8GB in capacity.